It is a known fact in life that we have to pay taxes: on our purchases, our sales, our property, and even our income. It’s not fun but it does pay for a lot of stuff so I guess I understand the need for it. But it doesn’t mean it is not still painful to file each year. 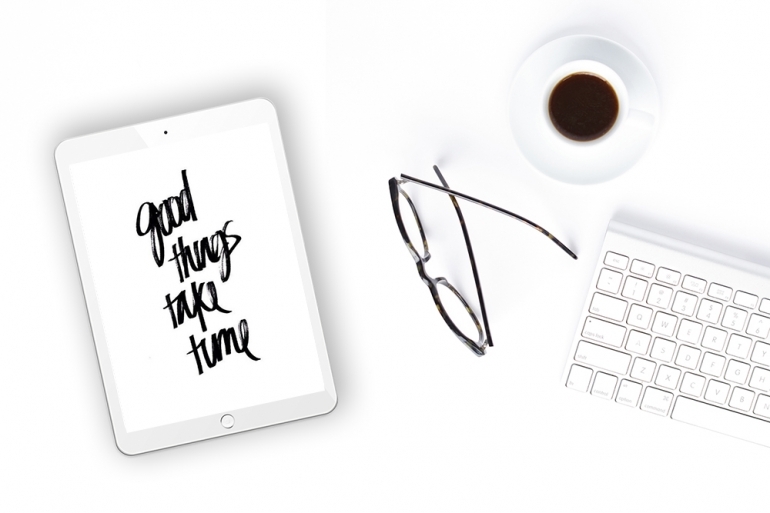 Tax season is inevitably the worse time of the year for a business owner and it is frankly exhausting if you are not prepared. Luckily for us, we are 6 months away. That deserves some praise hand emojis! 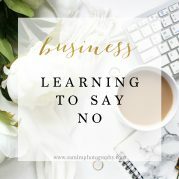 Today, I am going to offer some business tips and insights on what I learned from running a legitimate business in hopes that it will help you in April! 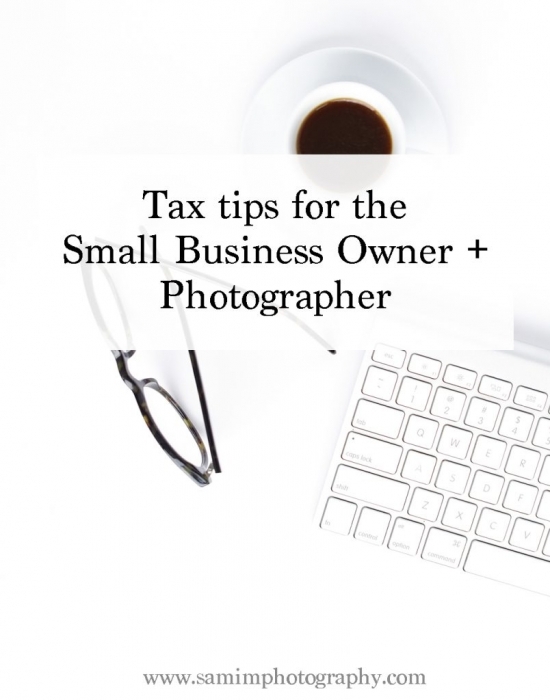 Check out these 4 tax tips for the small business owner + photographer! Perhaps one of the most shocking thing about owning a business is paying income tax. Going from a corporate job where they automatically figured out the tax percentage and even paid some of it before you got your check to earning $70 for every $100 you receive just felt so much harsher. Take it from me, put that 30% away and don’t spend it because you will be hit with a dose of reality and a hefty tax payment in April. If you have forgotten to set aside money, NOW is the time to do it so start setting aside a little more than your normal share to make up for the discrepancy. Y’all – do not, I repeat DO NOT wait until late March to get organized. You need to be smart and know what your deductible expenses are first. This is key. You can reduce your taxable income and if that doesn’t make you jump throw these many hoops, I don’t what does! Mileage, parking, dining, hotels, flights, etc. These are just some I had off the top of my head. There is so much more you can have as a deduction so do a google search and check. Once I had an idea on what is deductible, I keep everything tidy and neat in a spreadsheet that I can easily read, can separate by category, and has a running tally for YTD expenses at the very top. Here is my exact spreadsheet that has been slightly modify to protect my vendors, clients, and of course personal financial information. 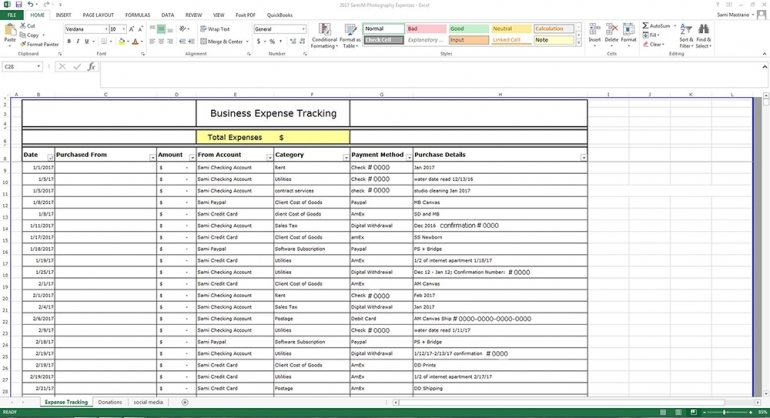 Knowing your expenses is pretty darn important but you also need to save your proof of expenses. If you are like me and probably most millennials, I HATE receipts. They end up cluttered in my cup holders of my car or in the bottom of my purse only to be thrown in the trash after a month or so. But trust me when I say this, keeping your receipts neat and clearly organized in a expandable file (NOT A SHOEBOX) will save you a boatload of money and time when you drop it off to your professional tax preparer. TIP: Sometimes, it is smart to make a copy of the receipts if you think it may fade over time. Finding someone who is not only experienced with tax preparation but with the intricacies of freelance/small business tax preparation is going to be your greatest asset in business. Luckily for me, my sister is a tax genius and has worked on this particular tax preparation for most of her high school and college years. But if you don’t have that connection, perhaps ask other small business professionals in your area who to use and set up a consultation. Starting your business off on the right foot is always the best idea. If you have any questions about anything, please comment or email me! Or if you have any tax tips for the small business owner, well sharing is caring! I believe we are all in this together and I wouldn’t be where I am today without the help of some incredible people who have helped me along the way. 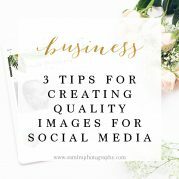 If you enjoyed this post – be sure to pin it, click like, and share it with a friend! 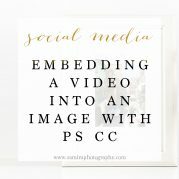 © 2019 SamiM Photography|ProPhoto 5 Cambria by The Shoreline Collection | Designed with love by Seaside Creative.